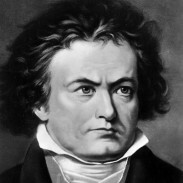 A video documentary about the life of Ludwig van Beethoven. He was German pianist, and composer of musical works. He was born December 16th of 1770 in Bonn, and died March 26th of 1827 in Vienna. He was an innovator when it came to music, and he demonstrated this by widening the scope of symphony, concerto, sonata, and the quartet. He also combined vocals and instruments in ways never before done during his time. A lot of Beethoven’s most prolific work was done in the final decade of life when he was completely unable to hear. Most of personal life was stricken by the fact that he was deaf. This was painful struggle for him and it was always part of his life.